For 2018, the bold ‘super-mini’ has gone under the proverbial surgeon’s knife and emerged with a fresh new design that simultaneously pays homage to the original “X”-motif and provides a rejuvenated appearance. 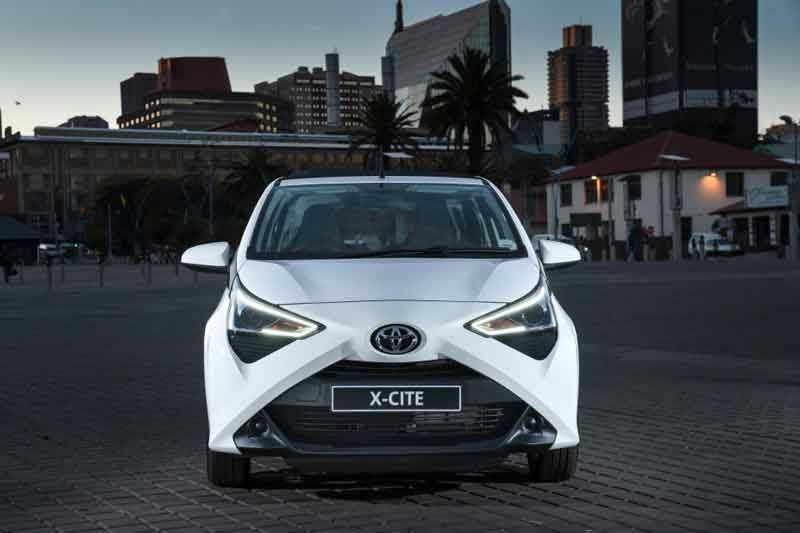 The standout feature of the facelifted Aygo are the new larger projector headlamps, incorporating prominent LED Daytime Running Lights (DRL) which utilise a light guide to trace the inner border of the headlamp housing. These stylised headlamps now form a point of parity with its larger C-HR sibling. The interior design keeps up the fun factor, with one-piece, moulded, front bucket seats, multi-tone fabric trim, visible exterior-colour panels and orange-hued illumination. 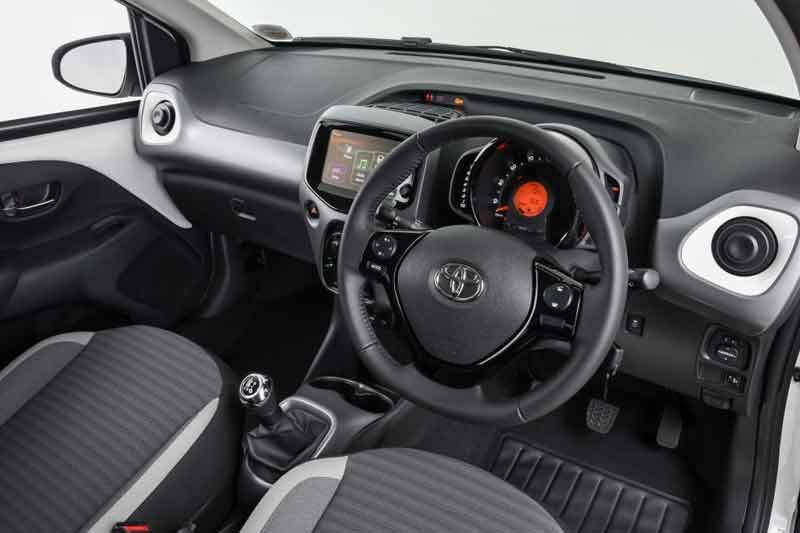 A leather-trimmed steering wheel and gear lever add a pleasing tactile touch point. 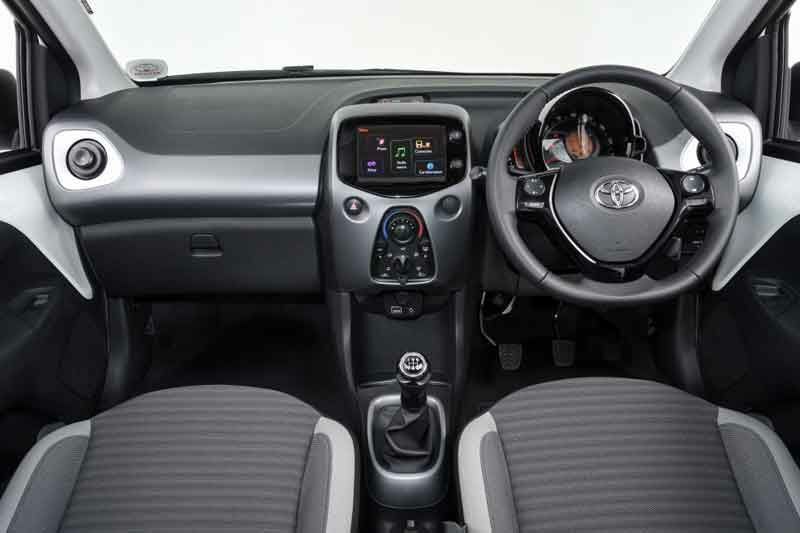 Aygo continues to offer a high level of standard specification, which includes a Touchscreen audio system with USB, Auxiliary and Bluetooth functionality, steering switch operation and on-board computer. 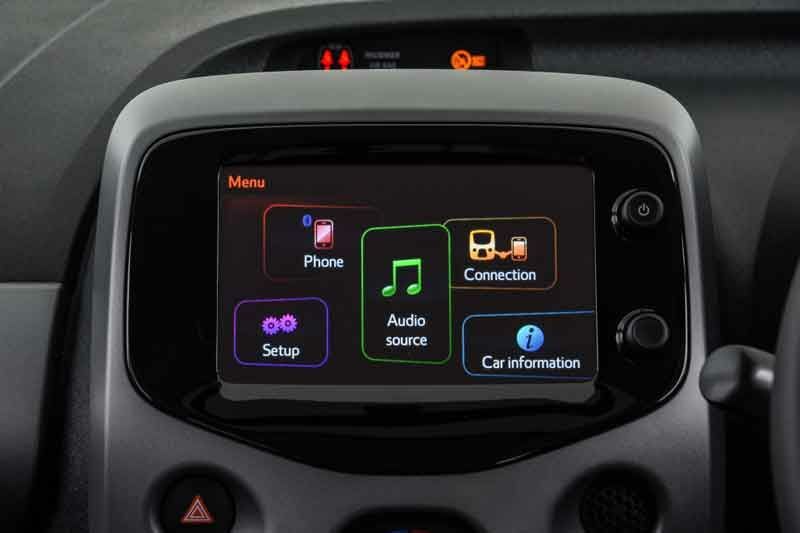 The audio system also features smartphone connectivity via the USB port. 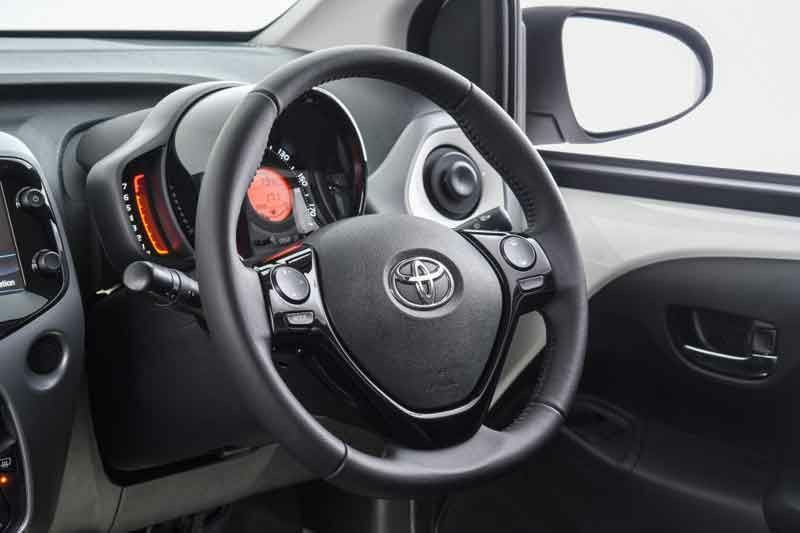 The usual fare of power windows, remote central locking, power-adjustable side mirrors, air-conditioning and 12-volt accessory connector are provided. The distinctive, stacked instrument cluster includes a circular Multi-information Display (MID), housed within the large and easy-to-read speedometer. A tachometer and shift indicator flank the multi-dimensional gauge layout. 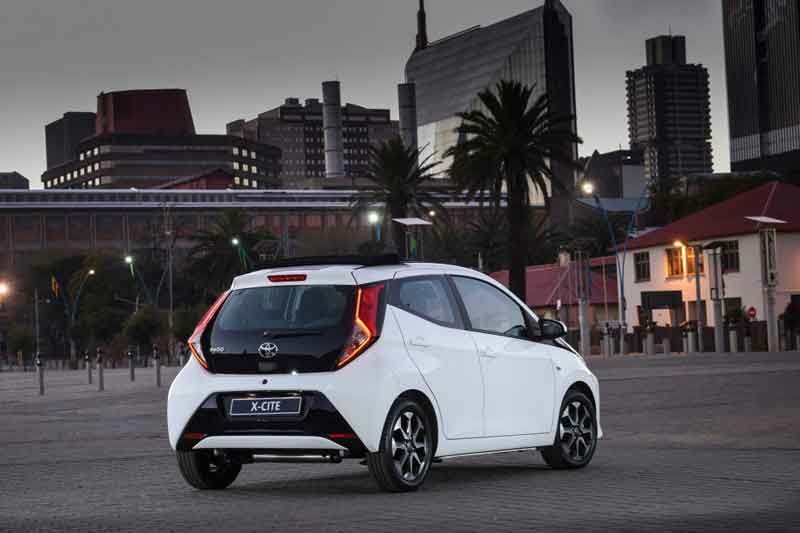 All Aygo derivatives are now equipped with Vehicle Stability Control (VSC) and Hill Assist Control (HAC), which join the ABS and Brake Assist (BA) functions - as part of Toyota’s continued vehicle safety strategy. 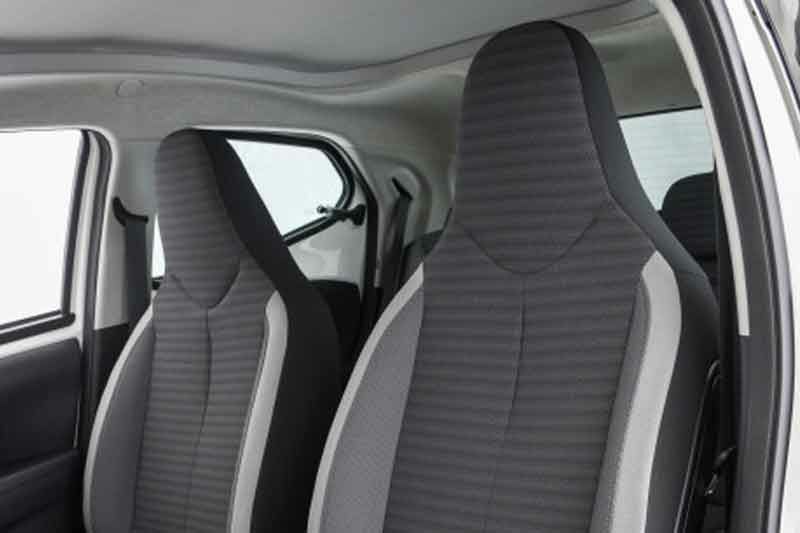 Passive safety items include front - and side airbags, ISOFIX provisions and 3-point seatbelts with force limiter and pretensioners. 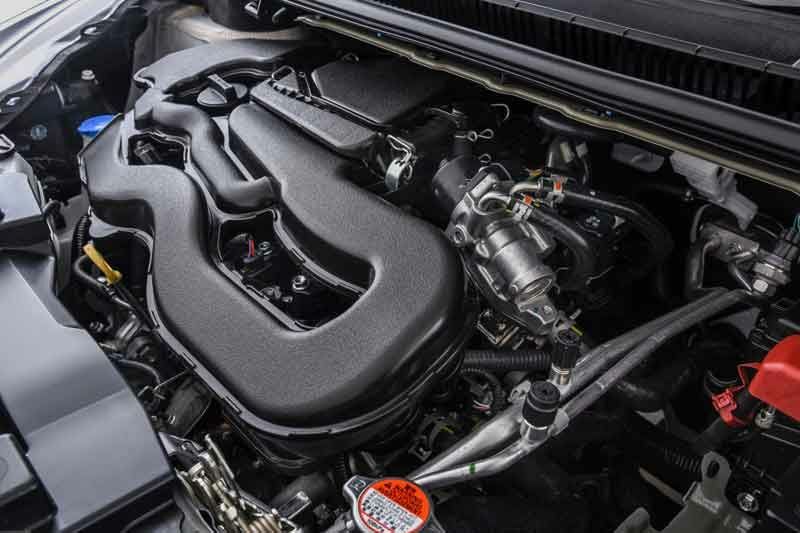 The thermally-efficient, award winning 998cc three cylinder engine has been tweaked to provide an additional 2 kilowatt, bringing the power output to 53 kW and 93 Nm – whilst fuel consumption has been lowered to a sparing 4.3 litre per 100 kilometres. The CO2 output figure has also been reduced to 97 g/km. 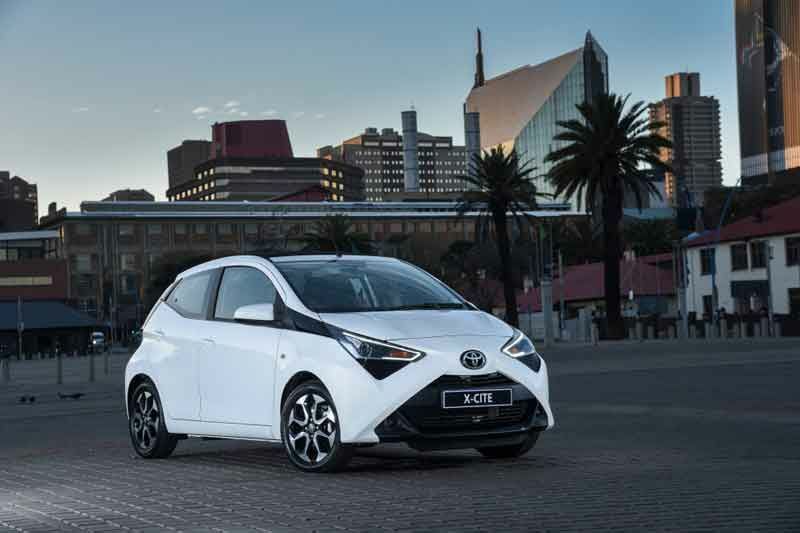 Improvements to the Noise, Vibration and Harshness (NVH) performance have also been made, ensuring that Aygo offers a quieter and smoother drive.